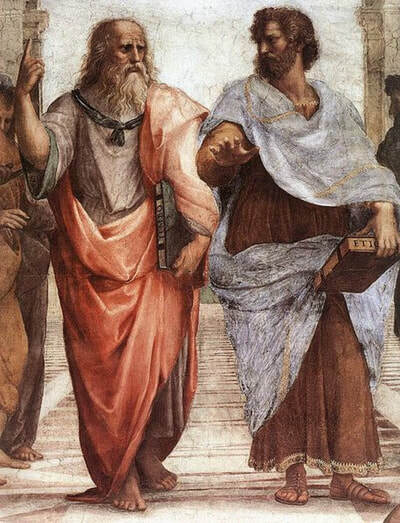 Master suggested that I write a commentary upon the thesis statement that Plato places philosophical truths in anyone, but Socrates. Most commentators state these truths are found in Thrasymachus. This is true, up to a point. Master has created divisions according to the dialogue. I have used his divisions as this clearly shows the most important section is the middle. This is not always the center of the words, in toto, as some commentators write. Perhaps one of the better examples of putting truths in the mouths of fools is found in the 1963 movie Dr. Strangelove. Brigadier General Ripper is paranoid and obsessed with the government putting fluoride in drinking water. Fluoridation would not be an issue until the 1970s. Dr. Strangelove is a scientist who previously worked for the Nazi regime. Today, we know that thousands of German scientists emigrated to America under "Operation Paperclip". In 1963, the idea that our country could approve of this operation was inconceivable. A review of Stanley Kubric's films and the James Bond movies would easily demonstrate that the "truths" are said by the villains. Would anyone watching "Goldfinger" (1964) believe that the United States would be taken off the Gold standard by 1971? Is there anyone who does not secretly cheer for the Bond villains, because as philosophy teaches, the happiest people are the most tyrannical? I was going to say something in answer to Glaucon, when Adeimantus, his brother, interposed: Socrates, he said, you do not suppose that there is nothing more to be urged? Why, what else is there? I answered. The strongest point of all has not been even mentioned, he replied. Well, then, according to the proverb, 'Let brother help brother' –if he fails in any part do you assist him; although I must confess that Glaucon has already said quite enough to lay me in the dust, and take from me the power of helping justice. ​Socrates is speaking the truth in this statement -Socrates can not help justice, except by sophistry. Nonsense, he replied. But let me add something more: There is another side to Glaucon's argument about the praise and censure of justice and injustice, which is equally required in order to bring out what I believe to be his meaning. More, however, is made of appearances by this class of persons than by the others; for they throw in the good opinion of the gods, and will tell you of a shower of benefits which the heavens, as they say, rain upon the pious; and this accords with the testimony of the noble Hesiod and Homer, the first of whom says, that the gods make the oaks of the just-- To hear acorns at their summit, and bees in the middle; And the sheep the bowed down bowed the with the their fleeces. And many other blessings of a like kind are provided for them. ​​"This class of persons" is the majority of the unthinking masse. Adeimantus appeals to the authority of the gods, Hesiod and Homer. Socrates will show on several occasions that Homer does not have first hand experience of what he writes. And Homer has a very similar strain; for he speaks of one whose fame is-- As the fame of some blameless king who, like a god, Maintains justice to whom the black earth brings forth Wheat and barley, whose trees are bowed with fruit, And his sheep never fail to bear, and the sea gives him fish. ​Adeimantus continues to appeal to the authority of the ancients. The just will have grains, fruit, wool and fish. This is what the majority of thinking people want-not the higher philosopher life of thinking. Still grander are the gifts of heaven which Musaeus and his son vouchsafe to the just; they take them down into the world below, where they have the saints lying on couches at a feast, everlastingly drunk, crowned with garlands; their idea seems to be that an immortality of drunkenness is the highest meed of virtue. ​Adeimantus disparages the common view of the afterlife. The vulgar think the best manner to spend eternity is by eating and drinking and equates this behavior with 'virtue". Some extend their rewards yet further; the posterity, as they say, of the faithful and just shall survive to the third and fourth generation. ​Adeimantus paraphrases from Exodus 20:4-6 -"I the LORD thy God am a jealous God, visiting the iniquity of the fathers upon the children unto the third and fourth generation of them that hate me;"
​This is the style in which they praise justice. But about the wicked there is another strain; they bury them in a slough in Hades, and make them carry water in a sieve; also while they are yet living they bring them to infamy, and inflict upon them the punishments which Glaucon described as the portion of the just who are reputed to be unjust; nothing else does their invention supply. ​Adeimantus states the masses punish the unjust in various ways. The manner is a reflection of how they lived. The damned are known to be unjust because they have been seen by the someone their committing injustice. Such is their manner of praising the one and censuring the other. Once more, Socrates, I will ask you to consider another way of speaking about justice and injustice, which is not confined to the poets, but is found in prose writers. The universal voice of mankind is always declaring that justice and virtue are honourable, but grievous and toilsome; and that the pleasures of vice and injustice are easy of attainment, and are only censured by law and opinion. Adeimantus speaks the truth that virtue is tiresome, but injustice is pleasurable. The fast reader may not take notice of this section. The law and public opinion are two obstacles to enjoying injustice. Attempting to do good is difficult because it may be unnatural behavior. They say also that honesty is for the most part less profitable than dishonesty; and they are quite ready to call wicked men happy, and to honour them both in public and private when they are rich or in any other way influential, while they despise and overlook those who may be weak and poor, even though acknowledging them to be better than the others. Adeimantus says that honesty is not as financially rewarding as dishonesty. Only a "wretched idiot" would disagree. The rich and influential are praised, even if they are not just, while the poor are ignored, their virtue is of no consequence. Adeimantus is saying the human nature is drawn to the leaders and will ignore followers. The lack of virtue has no effect on human nature-people want leaders regardless of their moral shortcomings. But most extraordinary of all is their mode of speaking about virtue and the gods: they say that the gods apportion calamity and misery to many good men, and good and happiness to the wicked. ​Adeimantus seems to be familiar with Matthew 5:45 -"your Father which is in heaven: for he maketh his sun to rise on the evil and on the good, and sendeth rain on the just and on the unjust." ​Adeimantus is familiar with the Roman doctrine of Purgatory-where the living can assist the dead by various methods. ​and they promise to harm an enemy, whether just or unjust, at a small cost; with magic arts and incantations binding heaven, as they say, to execute their will. ​Adeimantus speaks of magicians, witches and other practitioners of the occult. The idea of "binding heaven...to execute their will" ideally corresponds to the men who release souls through the authority of the Vicar of Christ. ​And the poets are the authorities to whom they appeal, now smoothing the path of vice with the words of Hesiod; -- Vice may be had in abundance without trouble; the way is smooth and her dwelling-place is near. But before virtue the gods have set toil, and a tedious and uphill road: then citing Homer as a witness that the gods may be influenced by men; for he also says: The gods, too, may he turned from their purpose; and men pray to them and avert their wrath by sacrifices and soothing entreaties, and by libations and the odour of fat, when they have sinned and transgressed. ​Adeimantus, by appealing to the authority of the ancients, states that the gods may intervene by prayers and sacrifices. This is an allusion to the Requiem mass -"Hostias et preces tibi Domine"-sacrifice and prayers to you, Lord. And they produce a host of books written by Musaeus and Orpheus, who were children of the Moon and the Muses --that is what they say –according to which they perform their ritual, and persuade not only individuals, but whole cities, that expiations and atonements for sin may be made by sacrifices and amusements which fill a vacant hour, and are equally at the service of the living and the dead; the latter sort they call mysteries, and they redeem us from the pains of hell, but if we neglect them no one knows what awaits us. Adeimantus wants the reader to question the sources of these stories by adding "that is what they say". "Expiations and atonements for sin" are for the "living and the dead" describes the Mass perfectly. Services for the dead are called "mysteries". The pains of Hell are known from the Requiem-"de poenis inferni et de profundo lacu"-from infernal punishment and the deep pit. ​He proceeded: And now when the young hear all this said about virtue and vice, and the way in which gods and men regard them, how are their minds likely to be affected, my dear Socrates, --those of them, I mean, who are quickwitted, and, like bees on the wing, light on every flower, and from all that they hear are prone to draw conclusions as to what manner of persons they should be and in what way they should walk if they would make the best of life? ​Probably the youth will say to himself in the words of Pindar-- Can I by justice or by crooked ways of deceit ascend a loftier tower which may he a fortress to me all my days? For what men say is that, if I am really just and am not also thought just profit there is none, but the pain and loss on the other hand are unmistakable. But if, though unjust, I acquire the reputation of justice, a heavenly life is promised to me. Since then, as philosophers prove, appearance tyrannizes over truth and is lord of happiness, to appearance I must devote myself. I will describe around me a picture and shadow of virtue to be the vestibule and exterior of my house; behind I will trail the subtle and crafty fox, as Archilochus, greatest of sages, recommends. "Appearance...is the lord of happiness" is to be contrasted to the philosopher's knowledge of the terrible truths. As Nietzsche says, if you stare into the abyss long enough, it will stare back. The vulgar or psychic only understand sense perception, unlike the philosophers or pneumatics who "discern all things". Adeimantus quotes the "greatest of sages" to lend authority to his argument that thinking people of the past have also known that injustice is profitable. ​But I hear some one exclaiming that the concealment of wickedness is often difficult; to which I answer, Nothing great is easy. Nevertheless, the argument indicates this, if we would be happy, to be the path along which we should proceed. ​With a view to concealment we will establish secret brotherhoods and political clubs. ​And there are professors of rhetoric who teach the art of persuading courts and assemblies; and so, partly by persuasion and partly by force, I shall make unlawful gains and not be punished. ​Still I hear a voice saying that the gods cannot be deceived, neither can they be compelled. But what if there are no gods? or, suppose them to have no care of human things –why in either case should we mind about concealment? Adeimantus questions if there are gods. This section will be forgotten by careless readers. If there are gods, they do not intervene in human affairs. Therefore, according to Adeimantus, we can do injustice on a larger scale, and in the process become more successful, than if the gods intervene from time to time. Let us be consistent then, and believe both or neither. If the poets speak truly, why then we had better be unjust, and offer of the fruits of injustice; for if we are just, although we may escape the vengeance of heaven, we shall lose the gains of injustice; but, if we are unjust, we shall keep the gains, and by our sinning and praying, and praying and sinning, the gods will be propitiated, and we shall not be punished. Here we see Adeimantus the comedian as he mocks the cherished traditions of man. He starts by stating "if the poets speak truly" but omits the other argument, "if the poets speak falsely." This argument is supplied by the thinking individual as-"If the poets lie, we can not trust any tradition or hearsay. I must rely on my reason alone in this and other matters to determine if these ideas are true or false." ​'But there is a world below in which either we or our posterity will suffer for our unjust deeds.' Yes, my friend, will be the reflection, but there are mysteries and atoning deities, and these have great power. That is what mighty cities declare; and the children of the gods, who were their poets and prophets, bear a like testimony. On what principle, then, shall we any longer choose justice rather than the worst injustice? when, if we only unite the latter with a deceitful regard to appearances, we shall fare to our mind both with gods and men, in life and after death, as the most numerous and the highest authorities tell us. ​The reader must keep in mind that justice is the only virtue that needs a witness and this explains Adeimantus' concern with "regard to appearances". By injustice, the unjust will do well with gods and men and in life and after death. Adeimantus appeals to "the highest authorities" for his concluding statement. ​Knowing all this, Socrates, how can a man who has any superiority of mind or person or rank or wealth, be willing to honour justice; or indeed to refrain from laughing when he hears justice praised? The superior mind alluded to is the philosopher. People with influence are possibly politicians who are notorious for commiting injustice for their benefit . The wealthy, of all people, know that injustice leads to riches. And even if there should be some one who is able to disprove the truth of my words, and who is satisfied that justice is best, still he is not angry with the unjust, but is very ready to forgive them, because he also knows that men are not just of their own free will; unless, peradventure, there be some one whom the divinity within him may have inspired with a hatred of injustice, or who has attained knowledge of the truth --but no other man. Adeimantus clearly indicates we forgive the unjust because it is against their natural instincts to be just "of their own free will". Those who are just of their own free will are either divine or, appealing to the misconceptions of the vulgar, one who has found the truth. ​He only blames injustice who, owing to cowardice or age or some weakness, has not the power of being unjust. And this is proved by the fact that when he obtains the power, he immediately becomes unjust as far as he can be. ​​The cause of all this, Socrates, was indicated by us at the beginning of the argument, when my brother and I told you how astonished we were to find that of all the professing panegyrists of justice –beginning with the ancient heroes of whom any memorial has been preserved to us, and ending with the men of our own time --no one has ever blamed injustice or praised justice except with a view to the glories, honours, and benefits which flow from them. Adeimantus who previously appealed to the authority of the ancients, now states that no one, and this includes the ancients, has "adequately" described the "nature" of either justice or injustice. Therefore, Adeimantus is stating that there is compelling or "true" account on behalf of justice. This implicitly contradicts his previous appeals to the authority. This description of the "essential nature" of justice has not been done because it is impossible. ​​Adeimantus states that justice is not "universal" or natural. Therefore, citizens need to watch their fellow citizens, and know that they are being watched, so as not to engage in injustice which is pleasurable. The reader needs to keep in mind that of all the virtues, only justice needs witnesses to be vindicated. People know that injustice does not cause the "greatest of evils", because if they did believe that injustice causes evil, they would never commit injustice. ​I dare say that Thrasymachus and others would seriously hold the language which I have been merely repeating, and words even stronger than these about justice and injustice, grossly, as I conceive, perverting their true nature. ​​Thrasymachus is familiar with philosophy, although not a philosopher himself. Philosopher live at the "fringe of society", they are not active in politics. We know Thrasymachus is not a philosopher, because Thrasymachus would use "words even stronger" than what Adeimantus uses. In this regard, Adeimantus is more cautious or reserved than Trasymachus. Adeimantus appeals to the vulgar opinion of "perverting" the "true" nature of justice. ​​But I speak in this vehement manner, as I must frankly confess to you, because I want to hear from you the opposite side; and I would ask you to show not only the superiority which justice has over injustice, but what effect they have on the possessor of them which makes the one to be a good and the other an evil to him. Socrates will be unable to show the "superiority" of justice over injustice. However, this omission does not hinder Plato from finishing the Republic. The careful or thoughtful reader will be amazed how Plato discusses various topics, but never demonstrating justice is superior to injustice. Glaucon is amazed that the idea of an immortal soul will be easy to prove. ​​And please, as Glaucon requested of you, to exclude reputations; for unless you take away from each of them his true reputation and add on the false, we shall say that you do not praise justice, but the appearance of it; we shall think that you are only exhorting us to keep injustice dark, and that you really agree with Thrasymachus in thinking that justice is another's good and the interest of the stronger, and that injustice is a man's own profit and interest, though injurious to the weaker. Socrates will praise the "appearance" of justice, even though Adeimantus requests him to "exclude reputations". Adeimantus wants to know, that is, have first hand knowledge of the benefits of justice and not second hand accounts or "reputations". Socrates will be unable to comply with this request. Socrates does know that that "justice is another's good and the interest of the stronger." This is based on Nature where the strong rule the weak. However, Socrates will use sophistry to make the weaker argument seem stronger. ​Now as you have admitted that justice is one of that highest class of goods which are desired indeed for their results, but in a far greater degree for their own sakes --like sight or hearing or knowledge or health, or any other real and natural and not merely conventional good --I would ask you in your praise of justice to regard one point only: I mean the essential good and evil which justice and injustice work in the possessors of them. ​​Let others praise justice and censure injustice, magnifying the rewards and honours of the one and abusing the other; that is a manner of arguing which, coming from them, I am ready to tolerate, but from you who have spent your whole life in the consideration of this question, unless I hear the contrary from your own lips, I expect something better. Adeimantus tolerates the vulgar view "coming from them" of justice and injustice. However, he expects more from the learned Socrates. And therefore,I say, not only prove to us that justice is better than injustice, but show what they either of them do to the possessor of them, which makes the one to be a good and the other an evil, whether seen or unseen by gods and men. Adeimantus wants Socrates to prove the benefits of justice over injustice. Socrates will not be able to do this either. Once again, Adeimantus brings up the issue of being seen "by gods and men", since justice must have a witness or it is not justice. Justice, as the vulgar understand it, is not found in Nature and, therefore, has a variety of interpretations. Philosophers, as we learn form the Republic, seek the things that are unchanging. Only by looking to Nature can we find unchanging rules. This is the universal standard that all rational men, regardless of time or place, can look to and have access to and, therefore, all philosophers come to the same conclusions. This is not true of the masses. The definition of justice as"the interest of the stronger over the weak" is understood by everyone, children included, since this is natural. In a Dictatorship, justice is with one person. Justice is with a few land owners in a republic. Justice is with the majority in a democracy. This explains why these types of governments are discussed in the Republic. To paraphrase Saint Paul, Plato writes about all things to all men so that some can come to the truth. If, Gentle Reader, some anachronisms are found in the commentary, do not judge this Apprentice too harshly. The anachronism are, no doubt, due to the redactions that occurred over several thousand years. The knowledge of Plato spread to Italy in the 14th and 15th centuries per the Oxford Handbook of Plato, page 71, and on page 74 we learn that the text of Plato contains "many fewer variants that significantly affect the sense". In order of most variants to least, we have the Bible, Plato and the Koran. It should be noted that the Koran contains no variant manuscripts and we can conclude that it was created and disseminated after the invention of printing. A Latin edition of Plato dates from 1484. Gemistus Pletho died in either 1452 or 1454.